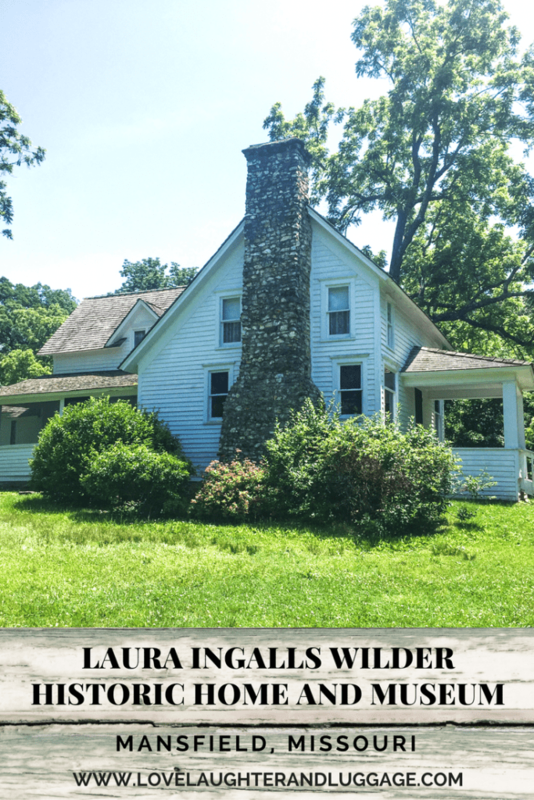 I have been a Laura Ingalls Wilder fan since I began reading her books in elementary school. I also loved watching the TV show, even though it is pretty loosely based on the books. 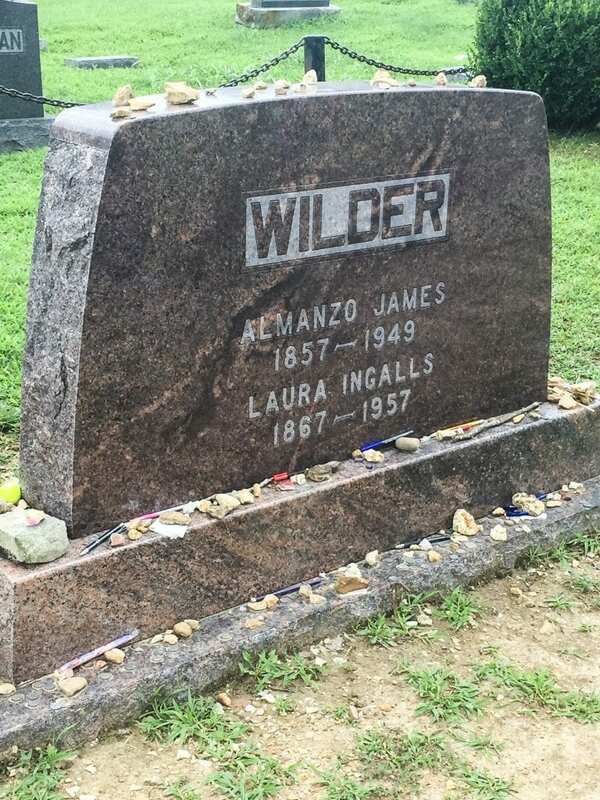 As an adult, I’ve wanted to learn more about her life, so I have started taking my family to her homes across the Midwest. 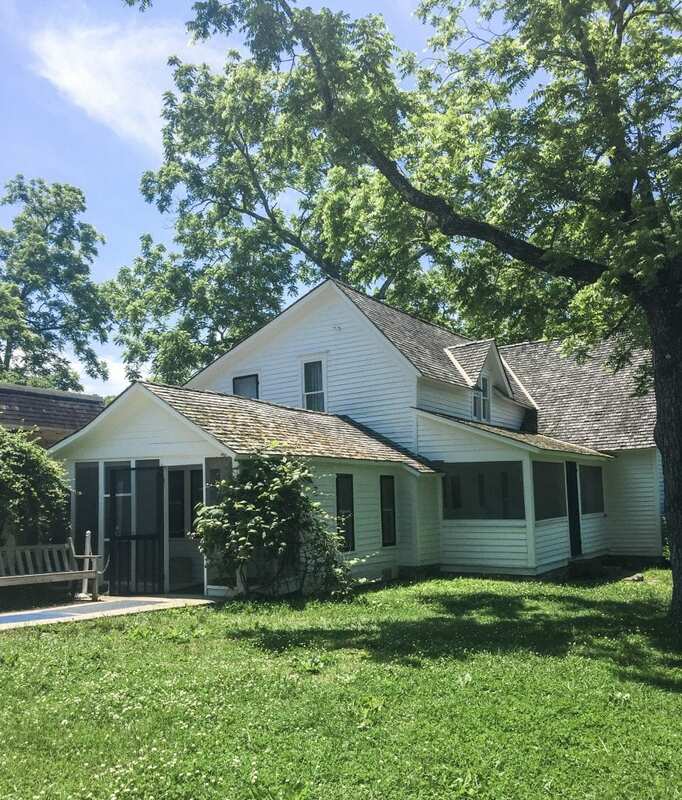 We are lucky to live near to two of those homes–The Little House on the Prairie near Independence, Kansas, and Rocky Ridge Farm near Mansfield, Missouri. I was pretty excited to bring Kristin to Laura’s homes. She is starting to learn more about her, although currently Jack the bulldog is her favorite character, not Laura. What can I say? The girl loves animals. We’ve also stayed a night in De Smet, South Dakota, at the Ingalls Homestead. That was an amazing experience. If you’d like to read more about that, click here. Soon after the new museum was finished, we decided to take a day trip to check out the new addition. 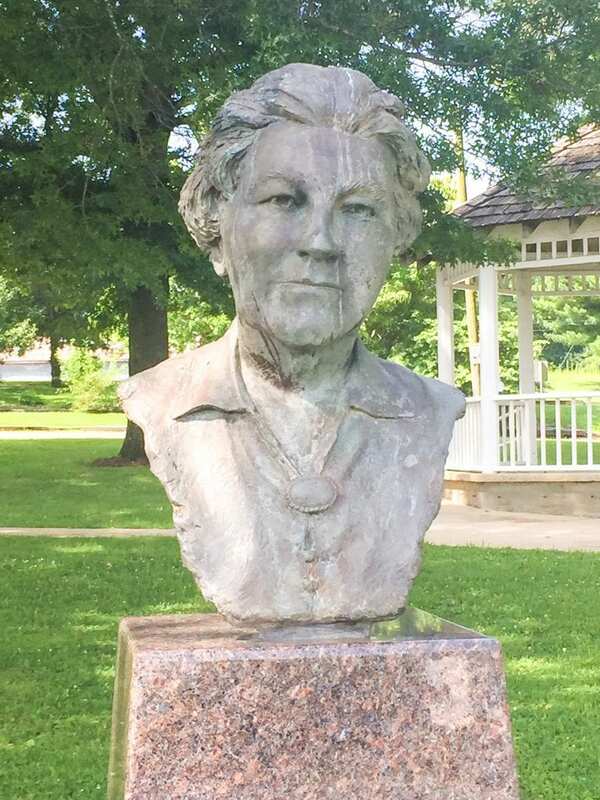 When we arrived in Mansfield, we stopped at the town square to see the Laura Ingalls Wilder bust. This is pretty easy to get to, and it’s not out of the way at all if you are going to the home from Mansfield. 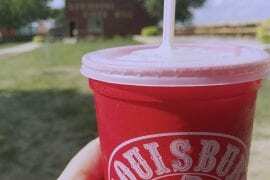 It’s a worthwhile stop. 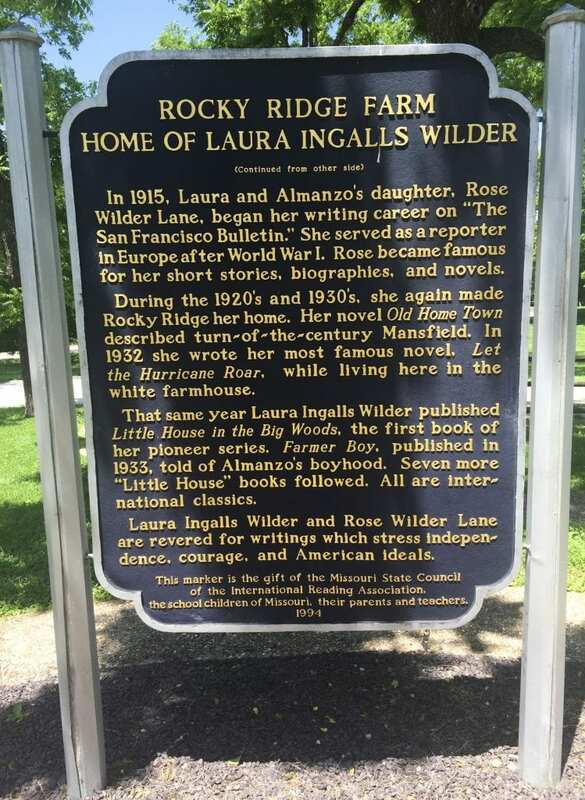 Soon we were heading out of town towards Rocky Ridge Farm, the final home of Laura Ingalls Wilder that she shared with Almanzo, her husband. This is also where she wrote her beloved children’s books. The first building we encountered was the recently constructed museum. 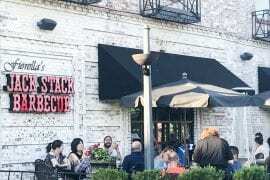 There is ample parking here, and this is where you should begin your visit. If you come from the other direction, you may be tempted to park at the farmhouse. If you do this, you will need to walk over to the museum and pay the admission. It’s probably better to park at the museum. It looks like a large barn. Once inside, you will be able to pay the admission and plan your visit. The museum portion begins with a short video about the Wilders, and it includes a recording of Laura’s voice, so that was cool. 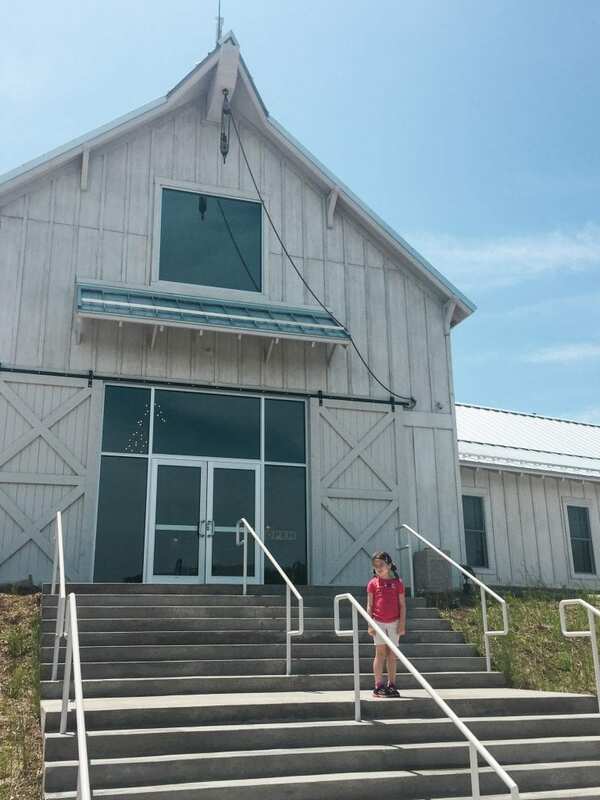 After the video, you are able to enter the museum to see items that belonged to Laura and her family, including Pa’s fiddle. The museum tells the story well, and I really enjoyed this part. There is quite a bit to read, so Kristin was a little antsy at times, but overall, she did well. She asked questions and made some connections. After we made our purchase, we were ready to see the farmhouse. You can walk on a path over to the house, or you can drive and park across the highway from the house. We decided to drive over. As you cross the highway and walk towards the house, this will be your view. The tour is guided, and it begins in the back of the house in the kitchen. The house had additions built onto it over the years to make it into the house you see today. I loved seeing the special touches Almanzo gave the house to make it a perfect fit for Laura. 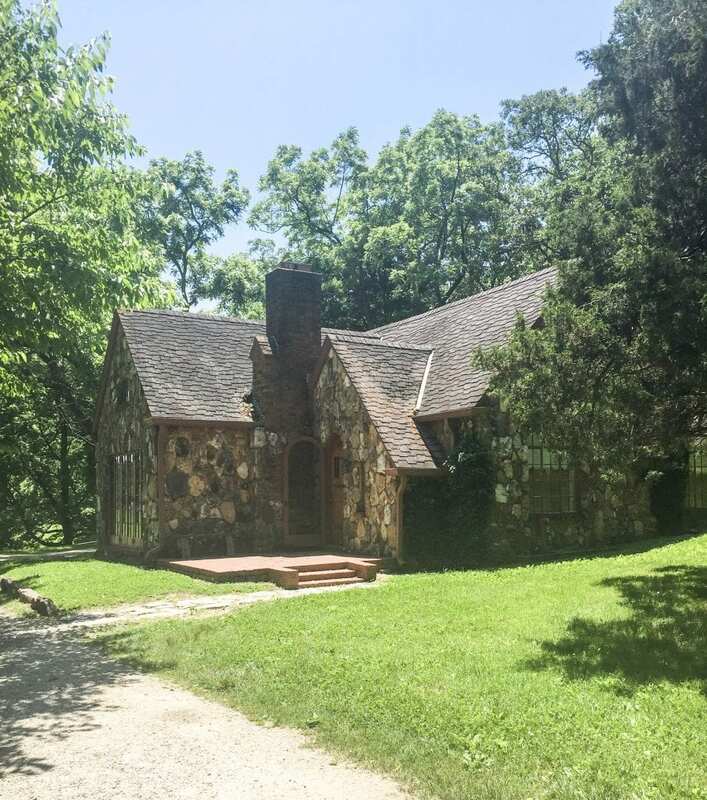 Their daughter, Rose Wilder Lane, lived in this house as she grew up, and she also lived there for a time as an adult after Laura and Almanzo moved into the Rock House that Rose gifted them. 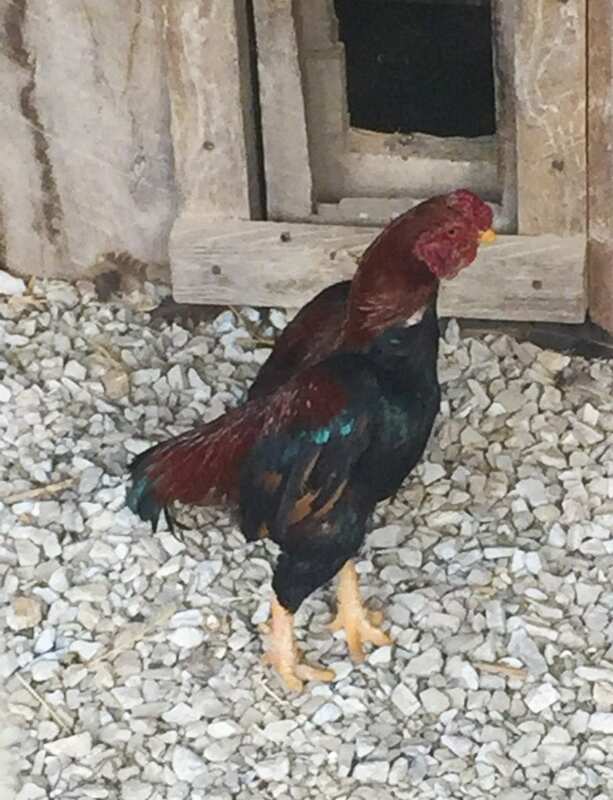 Laura and Almanzo did not stay in the Rock House; however, they lived out their last years in the farmhouse. After the tour, we took more pictures of the exterior of the house. Here is the front porch. Here is the side of the house. 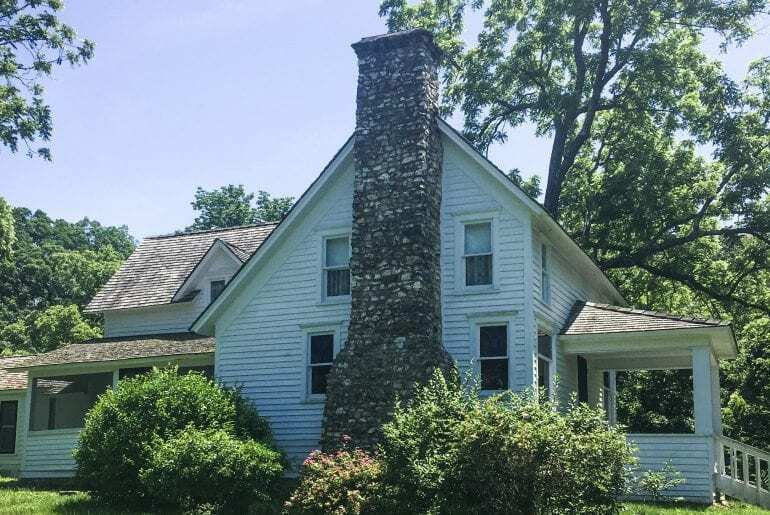 Notice the chimney that Almanzo built with rocks from the area. He also built a lot of the furnishings inside the house. We explored the grounds a little. Here is a sign on the property. On the property, you can see a vegetable garden and an apple orchard. 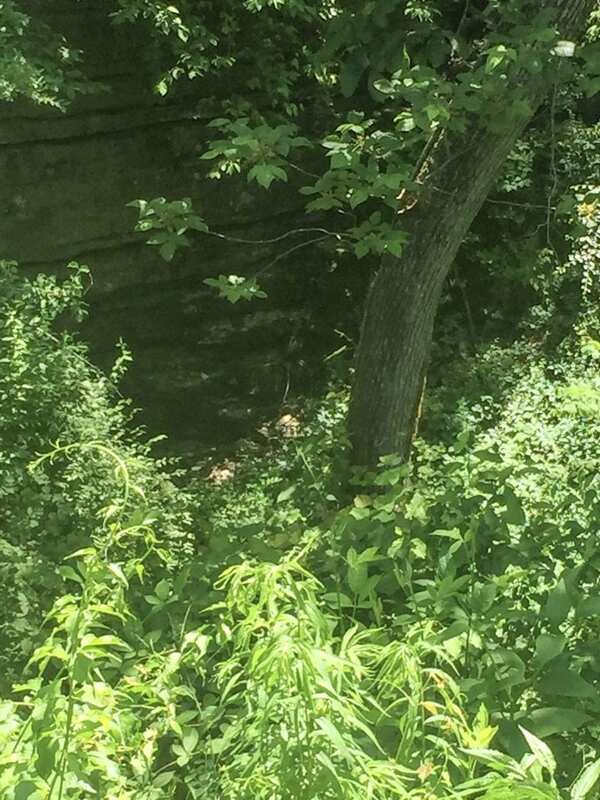 There is a little ravine behind the house. 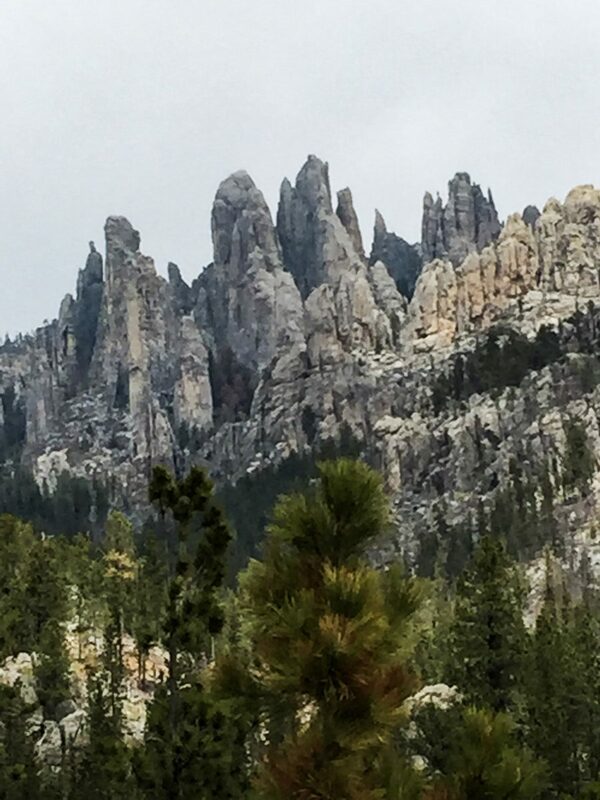 Here is the rock wall mother nature created in that area. The farm certainly lives up to its name! 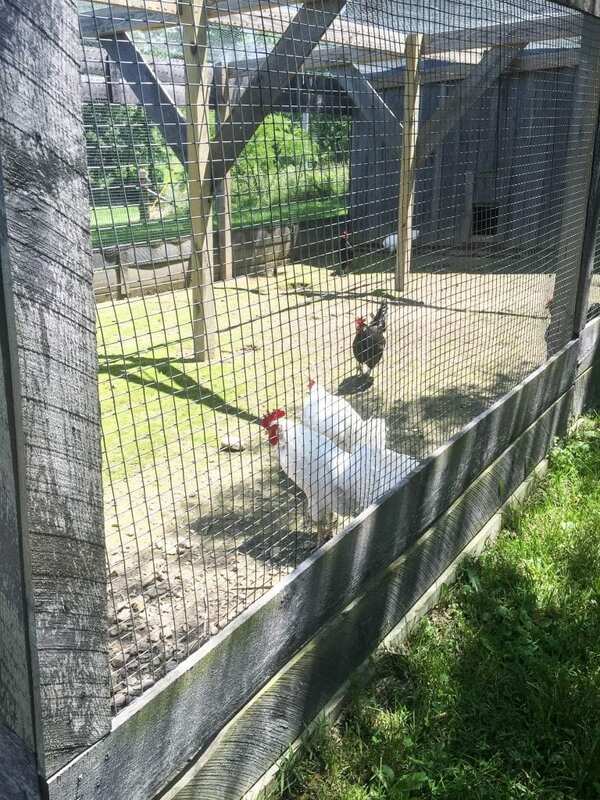 We also stopped to check out some chickens before heading back to the car. When we had thoroughly explored the farmhouse area, we decided to check out the Rock House. 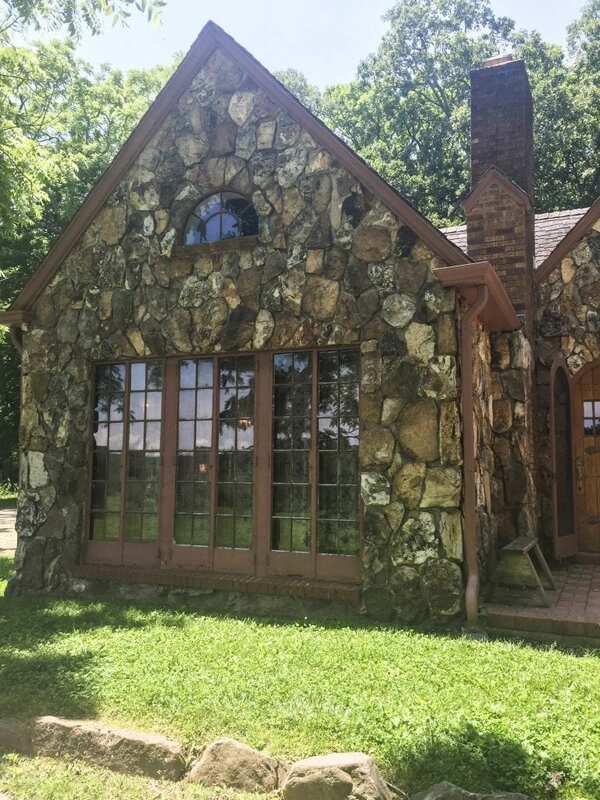 As mentioned above, Rose had this house built as a gift to her parents; she picked it out of a catalog. 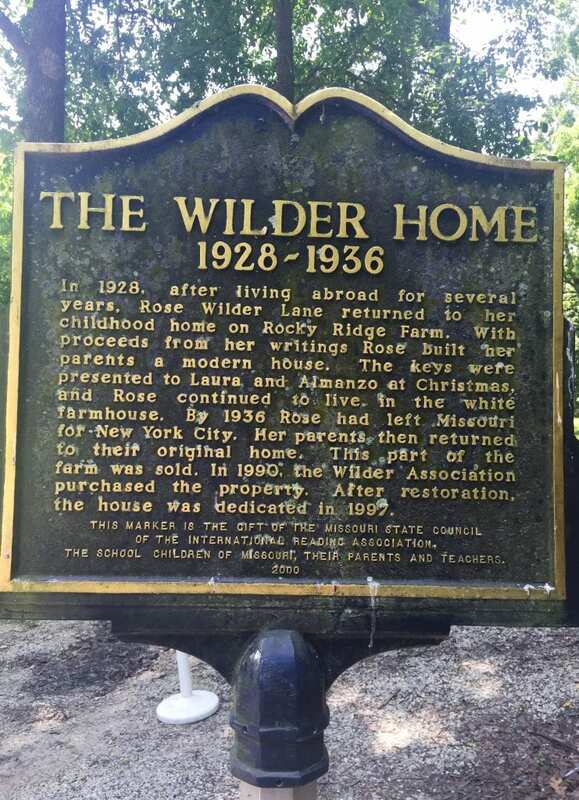 Laura and Almanzo lived there from 1928 until 1936. 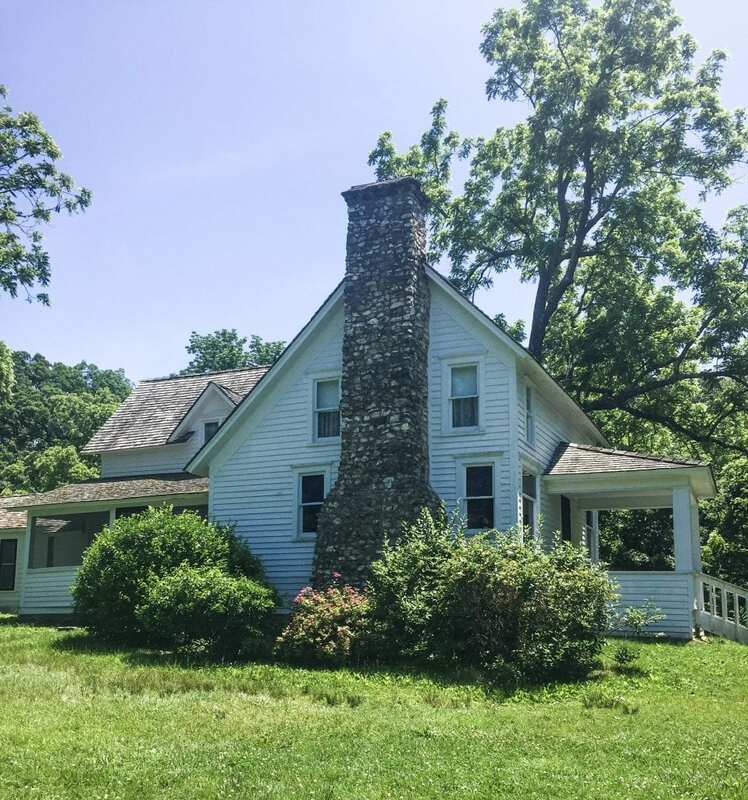 Rose wanted to make life for them more modern and comfortable, but in the end, Laura and Almanzo moved back to the farmhouse. We drove to the Rock House and parked in the designated area. We then had to walk up to the house from there. On the way, we saw this sign. We continued up the path, approaching the Rock House. 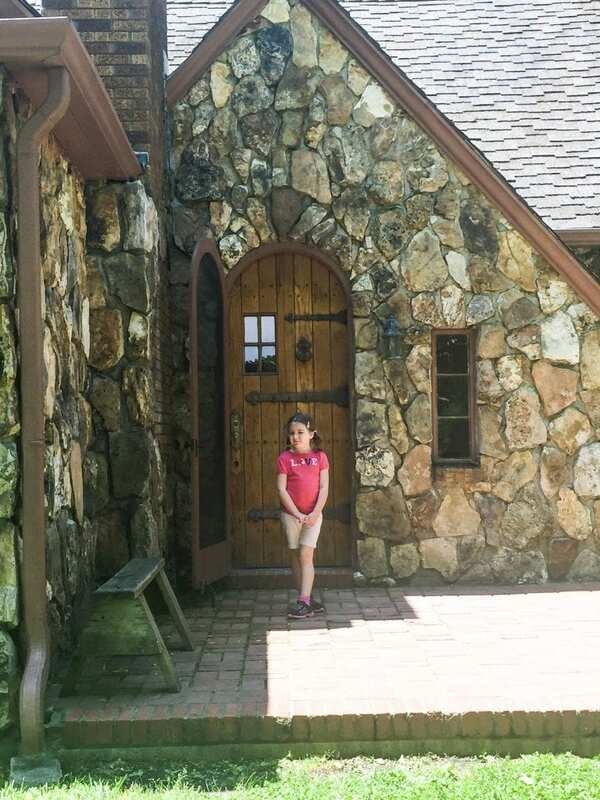 The tour of the Rock House is self-guided, but when we were there, a docent was waiting for us. She pointed out details of the house, and we had her all to ourselves, so we were able to ask questions freely. Here is a close up of the pretty amazing door. And here is a view of the beautiful windows on the front of the house. I absolutely loved coming to Rocky Ridge. It was easy to imagine Laura and Almanzo living in the farmhouse and doing farm chores outside. The spirit of Laura is certainly present here, and I loved exploring the place she called home. After we toured the Rock House, we drove back into Mansfield to see the final resting places of Laura, Almanzo, and Rose. The cemetery is right behind the school. The headstones are pretty easy to spot; they are chained off. You can see where people have paid their respects by leaving a rock on the headstone. Many people also left pencils and pens. 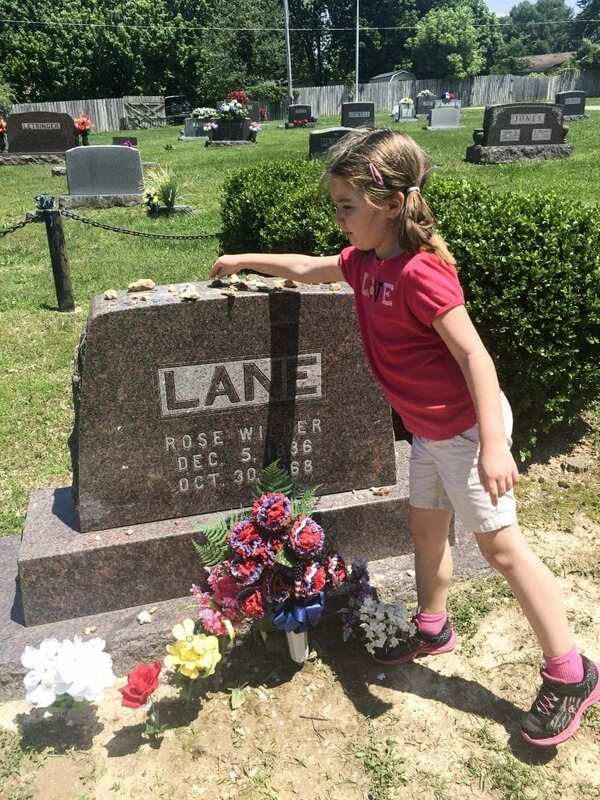 Here is Kristin leaving a rock on Rose’s headstone. It just seemed like a nice way to say that we were thinking of them and that we were grateful to Laura for sharing her stories with us. When we had finished at the cemetery, we wondered if there was anything else in the area we might want to see. Honestly, there isn’t a lot, but after checking on Trip Advisor, we saw that Bakersville Pioneer Village was nearby. The main draw is the Baker Creek Heirloom Seed Store where you can buy seeds that are not genetically engineered. They aren’t hybrids; the seeds will produce plants true to the parent plant. We also saw that they had some other buildings in the village. We had to check it out! The road does wind into the countryside, so you may think you are lost. Stick with it, though, because it is worth it! It is such an interesting little place. The seed store sells almost any seed you can imagine. We saw shelves and shelves of seeds! They also sell gift items and gardening supplies. Outside of the store, you can see what the plants look like in the gardens. If you’re a fan of the TV show, Little House on the Prairie, this picture will make you smile. At the restaurant, you can eat a meal made from the food they grow at the village. They don’t have a menu; you just eat whatever they offer that day. Also, the restaurant accepts donations, so you can pay with cash or a check. We were too late to try the restaurant on the day we visited. It sounds fun, though! We looked around the village. We saw a jail, stables, and this mill. It had a cute water wheel on the side. We also saw farm animals around the village. We had a blast walking around the village. Admission is free except during the Spring Planting Festival in May. Also, from March until October, they have a festival on the first Sunday of the month. I hear that cinnamon rolls and bluegrass music can be found at these festivals. That sounds like a great reason to go back to me. 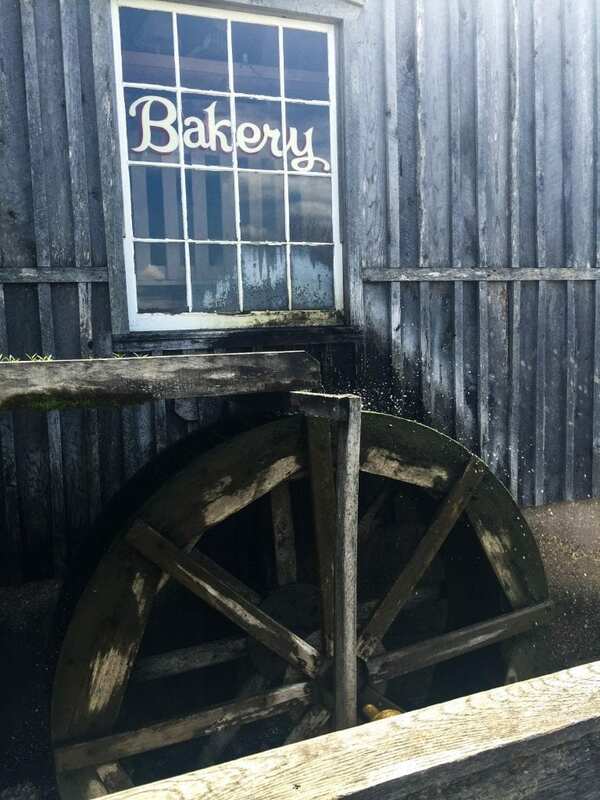 We had a great outing exploring Rocky Ridge Farm and Bakersville Pioneer Village. I hope we are able to go back to both of these attractions soon. 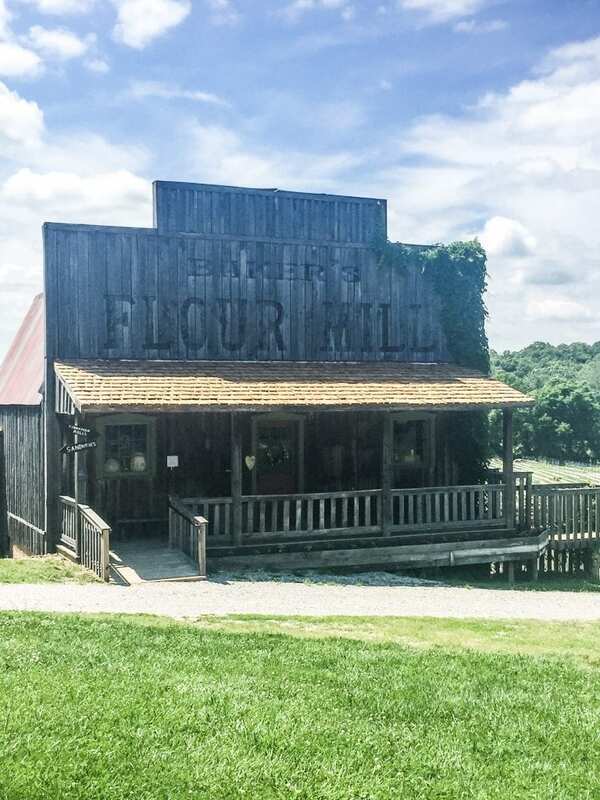 If you are planning to be in southern Missouri, make a stop or two in the Mansfield area. You should definitely stop if you have any Laura fans in your party. I will always smile when I think of the happy memories we made on this day! How fun! I would love to go there someday. Like you, I have wanted to know more about Laura Ingalls Wilder ever since I first read her books back in elementary. So this and Prairie De Smet are on my destination wish lists. I’m super jealous that you have been to both. We loved both of these! I would like to check out even more of the homes Laura had. I need to find a way to get up north to see them! oh 🙂 That was my favorite show as a kid! 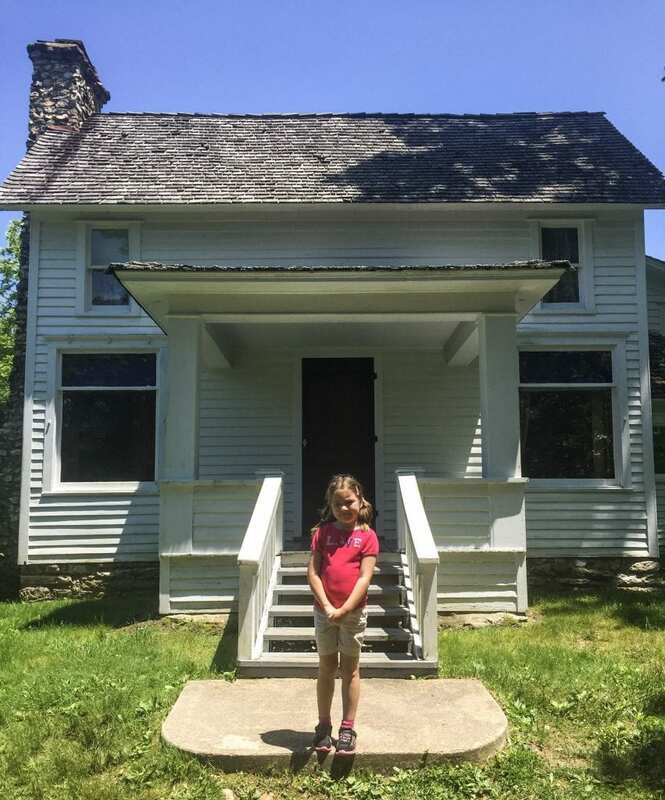 By chance we came by the Almanzo Wilder House near Minden,NY a couple of years ago .. its fun to see where he lift after his childhood ! That’s cool! I want to see Almanzo’s home someday! This makes me want to go back and read all these books again 🙂 will definitely be on my list for whenever I’m in the Midwest. I know what you mean! I like to go back and read them from time to time, especially if I know I am going somewhere related to the books. wow, I have never read the Little House books, I know people LOVE them.I wonder if my kids would like them. Looks like an interesting jaunt, historical, literary, and interesting! It is a fun place. My daughter likes the storybooks, but she hasn’t shown interest in the originals yet. Maybe someday! This looks so amazing! I have long been a fan of everything relating to Laura and her family, this is definitely somewhere I’d love to visit. Yes, if you’re a Laura fan, you simply must go sometime! Looks like an amazing trip! Love Laura Ingalls Wilder! Thanks for sharing! It is a fun place. 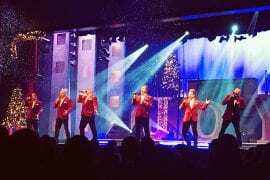 We had a great time! I love reading and would love to read these again since it’s been a while and I have a big trip coming up! Perfect timing. Yes! Trips are great times for reading! I’ll admit, I haven’t read all of the books, but I know my niece would love this! It really is a great place for those who love Laura! So cool! I love to tour historical homesteads. I will have to add this to my bucket list. You should! I love visiting historical sites, too. Love the pics and descriptions. I visited the Missouri Ingalls Wilder site, way back in the Stone Ages. Glad it is still such an appealing attraction many, many years later! It is! In fact, they opened a new museum building just last year, so they continue to grow! 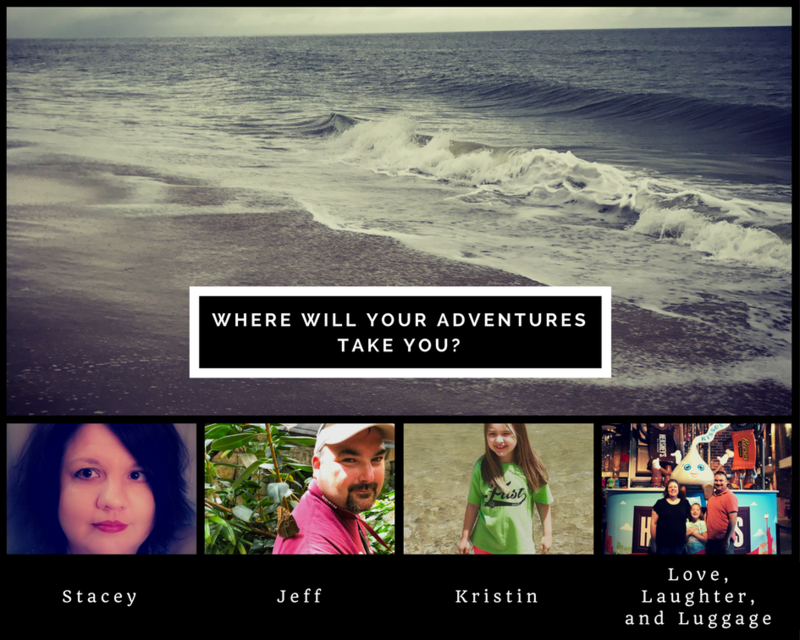 This looks like a fun trip if you love the books! I told my husband about this last night, and now to read about it again, I definitely want to go!!! You should! I like to reread the books every now and again. I am a huge history buff so places like this are fascinating to me. I love history, too! Most of our trips involve a historical site of some kind. Me too! I finally realized a childhood dream by going to Rocky Ridge. Wow! If I’m ever in Mansfield, Missouri! This was my favorite show. Sadly, I can’t get my kids interested. Boo. I live in an 1800’s farmhouse that has many original details still in place. I think of how it was “back then” almost daily. Love it. Your house sounds so cool! I love the books and the show, and I had always wanted to visit Rocky Ridge. I’m glad we finally did! I’ll admit, my previous experience with Little House on the Prairie consisted of a teenage version of me rolling my eyes while my mom had her afternoon sob fest by watching reruns on TV! After reading your post, I’m interested in learning more about her real-life and books! p.s. The Rock House is beautiful!! Ha! I was obsessed with the show as a kid. I even dressed my Barbies in prairie clothes. I agree the Rock House is beautiful. I loved the books and the tv show growing up. It would be so much fun to visit. It is a lot of fun. If you loved the books and show, you should certainly give it a shot. I love the Little House books and TV show! I definitely want to visit this location sometime! Thanks for sharing. You should definitely visit! We had a great time. I do, too! My daughter likes the storybooks they have now, but so far, she hasn’t wanted to read the longer originals. Maybe someday! Sounds like fun. I’m adding this to our list. It is fun! I think everyone who loves Laura should go at least once. I never read the books, I only watched the tv show, but this looks amazing! 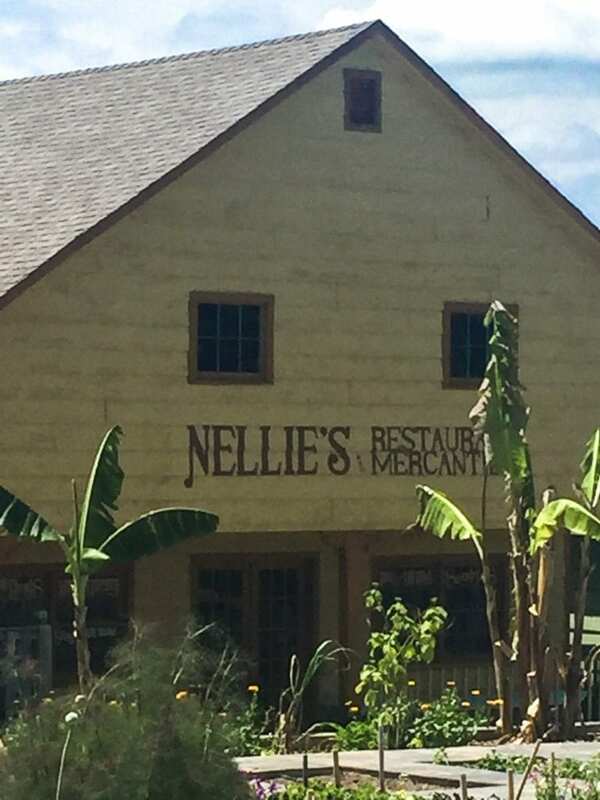 Just like you said, I’m a fan of the tv show so I clearly loved seeing Nellie’s restaurant! What a fun adventure! We had a good giggle over Nellie’s restaurant. It really is a great place to explore! You took some really fantastic pictures! I never knew this existed so thank you for sharing! Thank you! I hope you get to make a visit someday! What a wonderful experience. Looks like it would be a lot of fun. It is a great place to visit. We had a great time. I have never been a Little House fan, or even ever had a desire to head to middle America. I think my feet might be welded to California soil. But I recently read a book set in the Ozarks, and it made it much more appealing sounding. Your photos only added to that. Thanks! That’s great! I hope you do come to Missouri someday! You post about the coolest places!